I got out both days this weekend, but the birding was relatively uneventful with a lot of the usuals being seen. 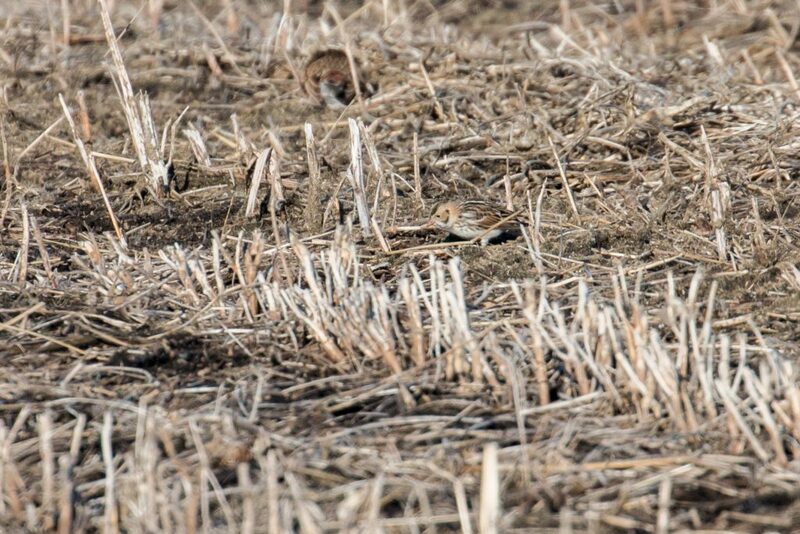 Highlights for me included seeing a nice-sized mixed flock (maybe 200 birds) of Horned Larks, Snow Buntings, and at least a single LAPLAND LONGSPUR in the black dirt. Saturday evening the nice light had me headed to the Shawangunk Grasslands; on my way there a Red-shouldered Hawk flew across the road and perched on the roadside. 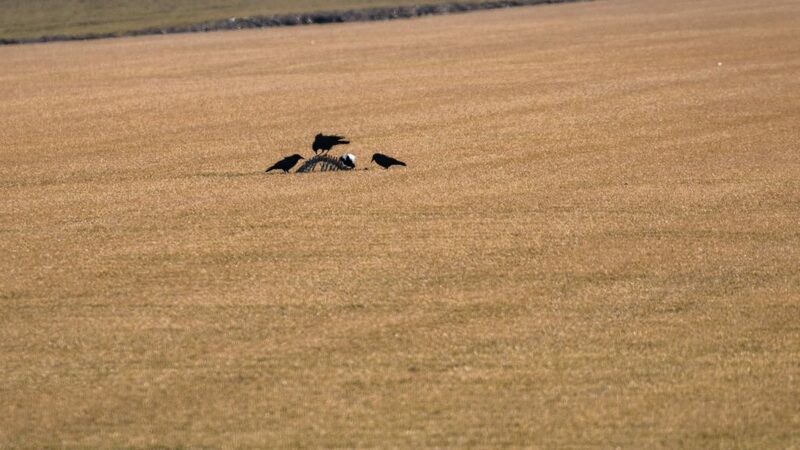 At the grasslands, I had a single young Bald Eagle, 7 Northern Harriers (including 4 Gray Ghosts! 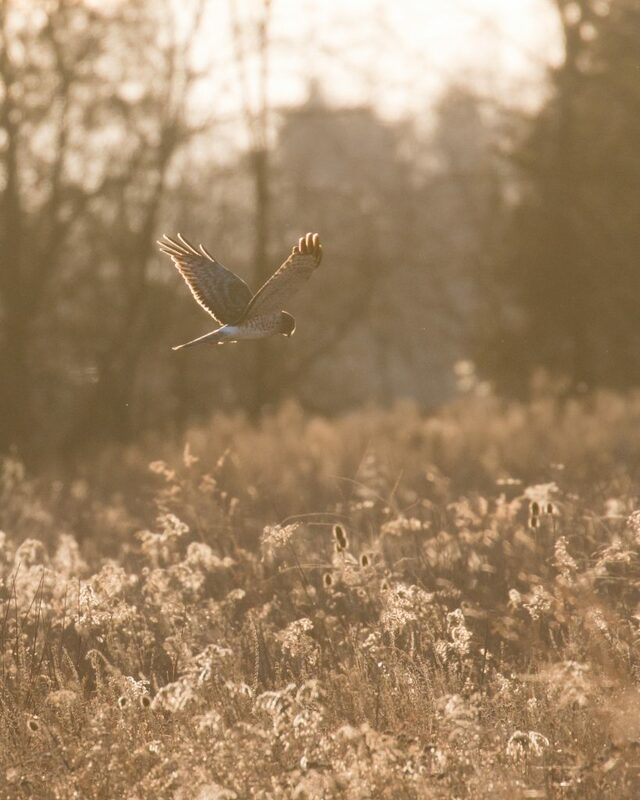 ), and although they got up too late for photos, 5 Short-eared Owls made a nice end to the day. Sunday morning I headed to Port Jervis and walked the trails at Reservoir #1. It was a nice, cold, walk and it was birdy, but with just the usuals. I headed to Laurel Grove Cemetery afterwards, where I had my first Hooded Mergansers of 2018 and my best bird of the day, a young COMMON GOLDENEYE. 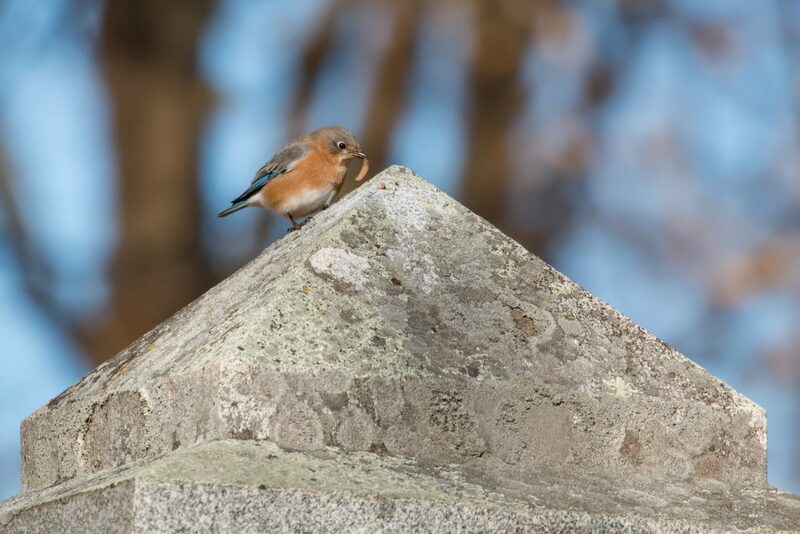 I photographed Eastern Bluebirds on the tombstones, by coincidence my second day in a row getting EABLs on tombstones (I had them at a small cemetery in Florida, NY on Saturday). 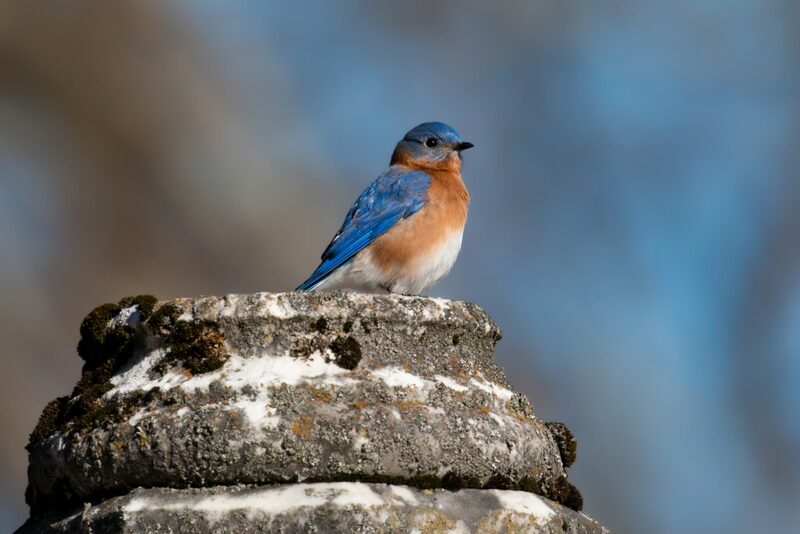 It was a pretty good, if not exciting, weekend of local birding. Next weekend might be a little more exciting as I am going on a pelagic trip out of Brooklyn on Saturday; something to look forward to! Great photos, Matt. 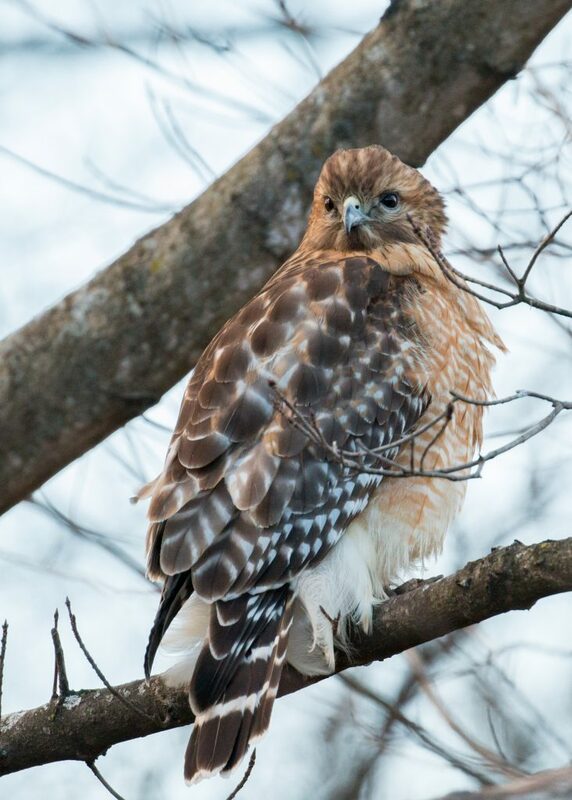 I especially love seeing the Red-shouldered Hawk. Can’t wait to see your photos and read about your pelagic trip. Really nice photos. It must have been cold out there today, Sun.